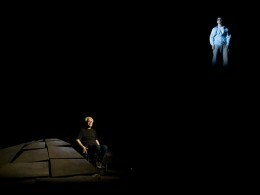 This award winning play was written by Kevin Kerr and directed by Roy Surette and Stephen Drover. 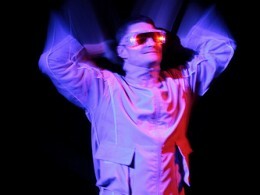 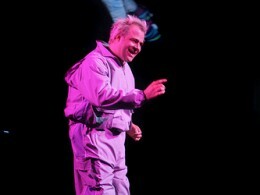 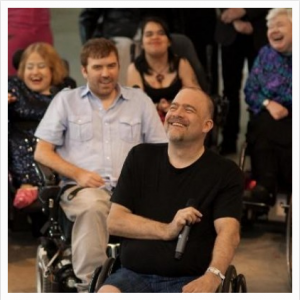 Skydive was Realwheels most unique theatrical presentation and broke new ground within the disability arts community. 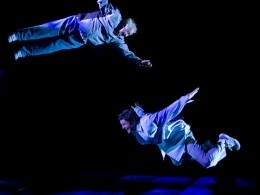 Two of our brave and talented performers soared above the stage floor for the entire length of the play. 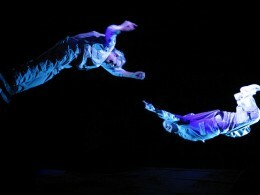 Audience members were treated to breathtaking aerial choreography, and cinematic action sequences. 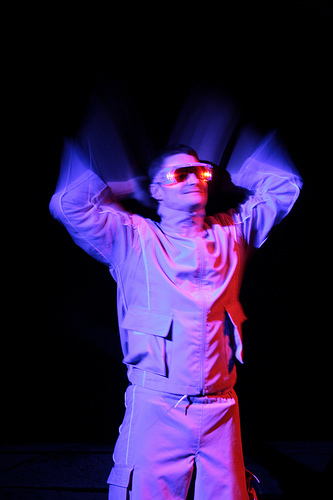 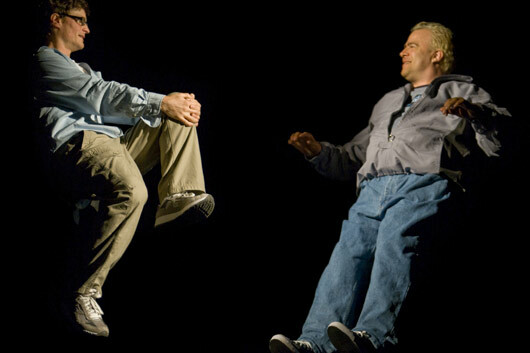 Skydive premiered in Vancouver at the 2007 PuSh International Performing Arts Festival and has since played to over 30,000 people in seven Canadian cities. 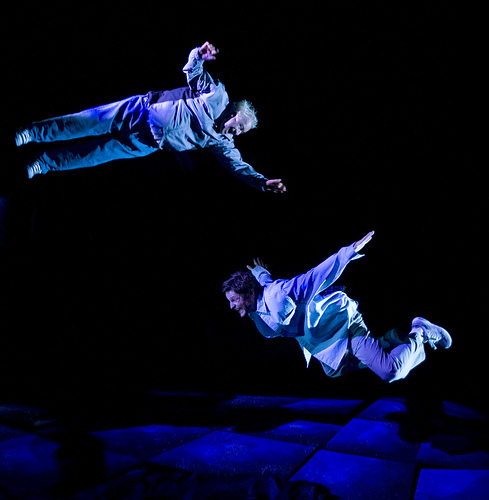 Skydive garnered five nominations for Jessie Richardson Theatre Awards (including Outstanding Production and Critics Choice for Innovation) of which it captured three: for best direction, sound design, and the amazing aerial choreography that made a quadriplegic fly! 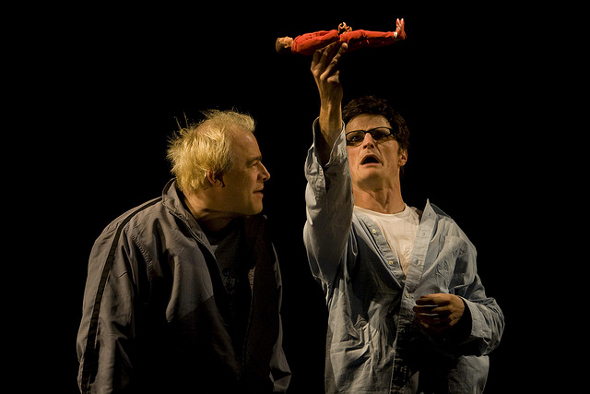 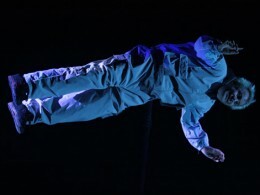 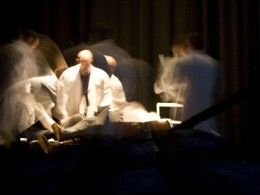 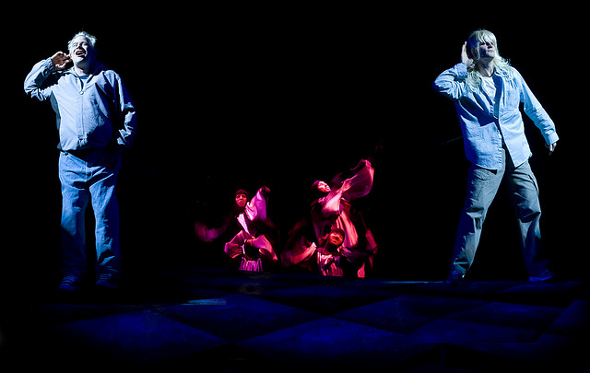 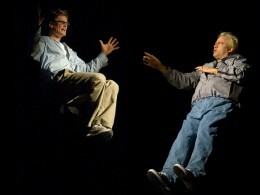 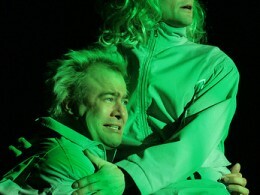 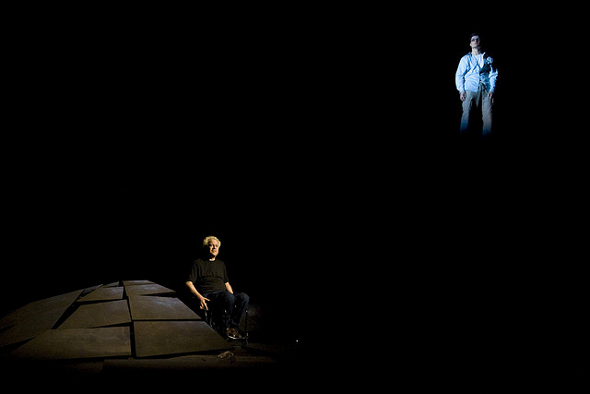 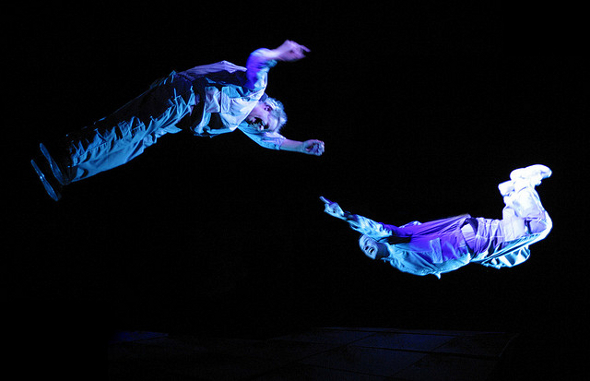 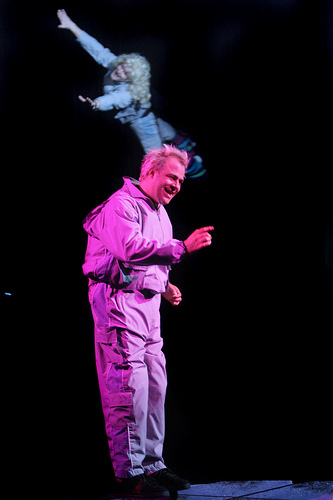 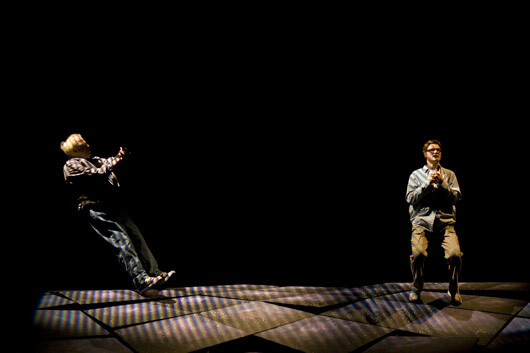 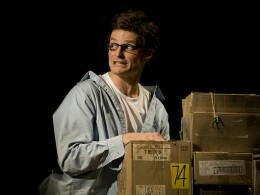 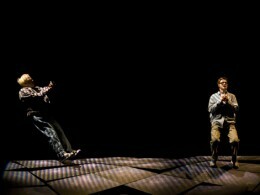 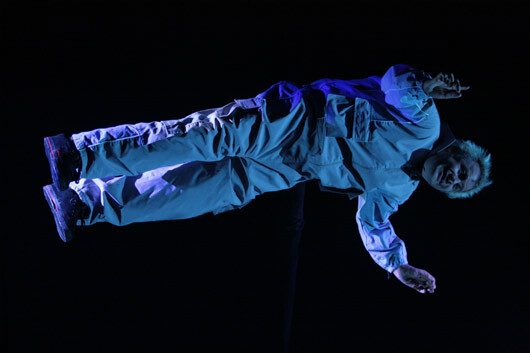 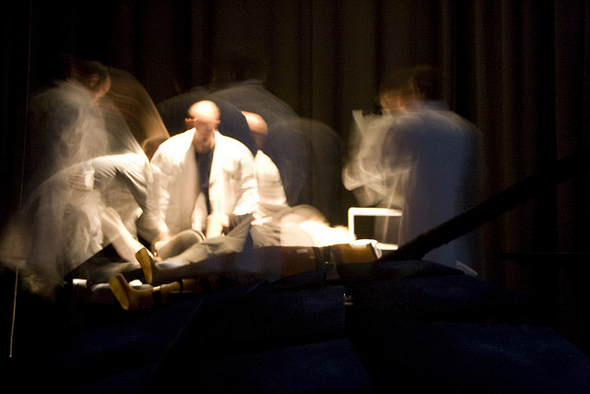 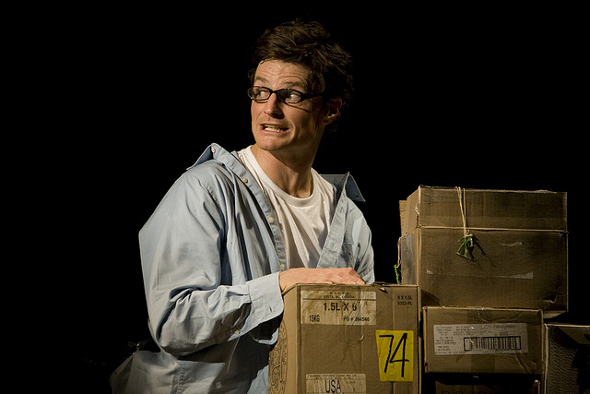 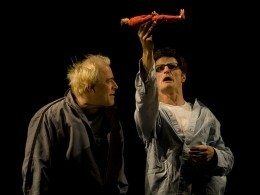 Skydive was also acknowledged by the Canadian Institute for Theatre Technology, winning their 2007 Award of Technical Merit in recognition of the show’s complex technical functions.